Portable storage tote bag is made of polyester, ABS plastic and alloy hook. 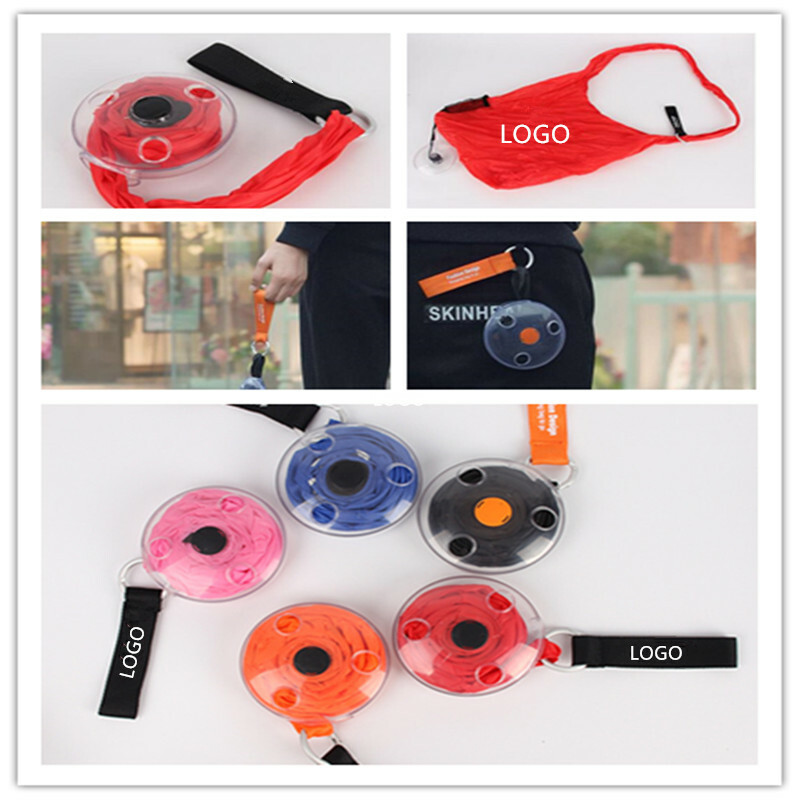 It is a mini round shopping folded bag. It folds up to fit in your pocket or as a keyring. Great for travelling, or just grocery store shopping! Package: 1 pc/box, 200 pcs/ctn, 44 lbs/ctn.